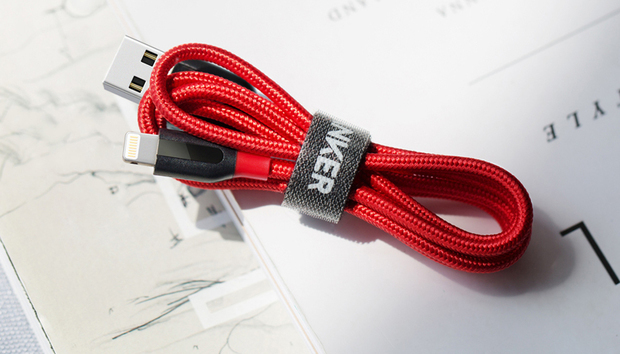 The Anker PowerLine+ is basically everything you want in a Lightning cable. This premium, nylon-wrapped cable is super durable, comes in a variety of colors and lengths, and it won’t leave you broke. It’s not dirt cheap—the 3-foot cable costs about $14—but even the longest version is a couple of dollars cheaper than Apple’s Lightning cable. It’s not necessarily the cable to get if you’re on a rice-and-beans budget, but you’ll save over Apple’s cable and also get a better-looking and better-performing cable. The PowerLine+ comes in four colors (gold, gray, red, and white) and four sizes (1 foot, 3 feet, 6 feet, and 10 feet), and costs between $13 (for the 1-foot version) and $17 (for the 10-foot version). The slim, round cable is made with ultra-strong aramid fiber and is wrapped in a double-braided nylon sheath. The Lightning connector and the USB plug are housed in tough plastic, which is laser-welded to a more flexible rubbery material at the cable's stress point. One of the only caveats here is the Lightning connector’s housing—it’s at least a full millimeter larger than the housing around the Lightning connector in the Apple cable, and this could be an issue if you have a snug, waterproof case on your phone. I didn’t have any problems with my waterproof Catalyst case, but there are a handful of other waterproof cases—such as LifeProof’s cases—with smaller port openings that this cable probably wouldn’t fit into. The PowerLine+ feels pretty rugged. The company says this cable is up to 10 times more durable than other Lightning cables, thanks to its reinforced stress points. The cable should be able to withstand more than 6,000 bends and has “exceptional tensile strength,” according to the company. I didn’t try bending it 6,000 times, but it did hold up well next to the other more overtly rugged cables. The cable comes with a cool little felt pouch for storage and shortening, and the red braided cable is particularly vibrant and attractive. Anker’s lower-tier braided cable costs $10 for the 3-foot version (instead of $14), while its non-braided cables are as low as $6 for the 3-foot version—even cheaper than Amazon’s ultra-cheap basic cable. 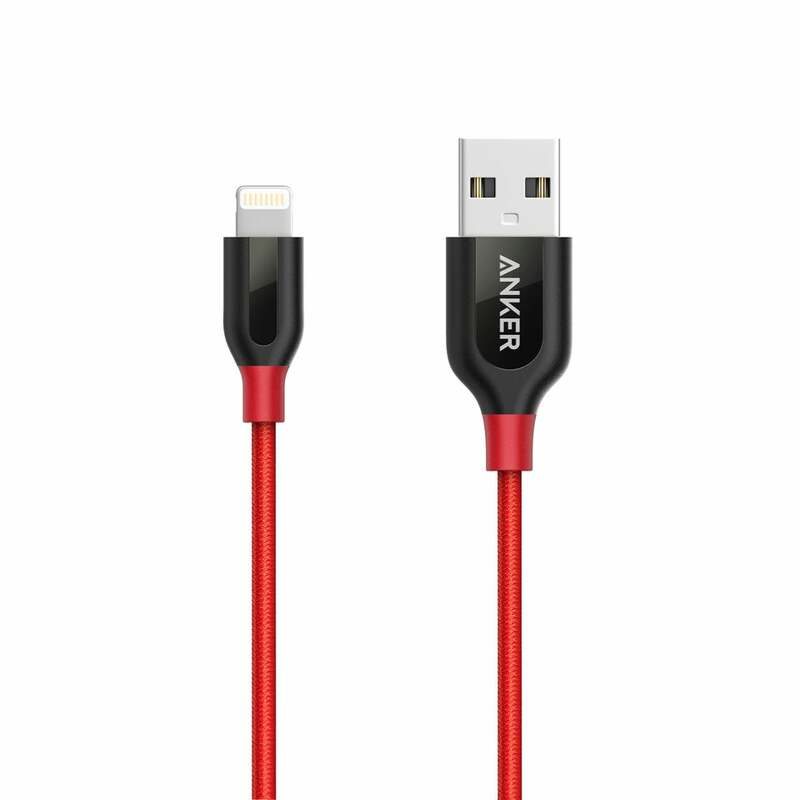 The PowerLine+ is Anker’s premium cable. The company also offers lower-level cables, including a PVC-wrapped cable that’s similar in price and durability to Amazon’s Amazon Basics cable. The PowerLine+ is the fanciest and priciest of the Anker cables, and you’re definitely paying a little (but just a little) for the premium look and feel.